AUDUSD is under the influence of weak jobs data in Australia. 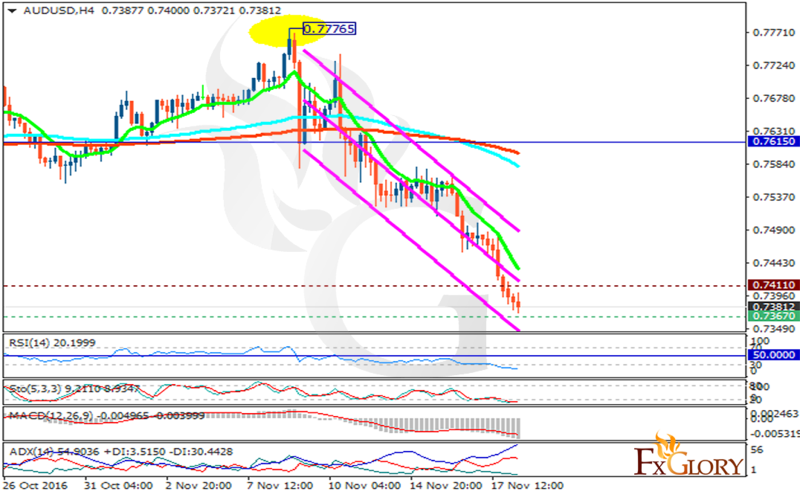 The support rests in 0.73670 with resistance at 0.74110 which both lines are below the weekly pivot point at 0.76150. The EMA of 10 is moving with bearish bias and it is located below the EMA of 100 and the EMA of 200. The RSI is moving in oversold area, the MACD indicator is in negative territory and the Stochastic is moving in low ranges. The ADX is showing a sell signal at the moment. We stay bearish for a short time then buyers can expect the correction pattern.